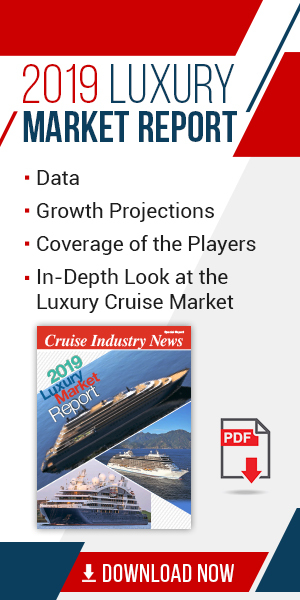 The fastest growing cruise region when it comes to pure capacity growth in passengers year-over-year is the Caribbean for 2019, which will post another record year, according to the 2019 Cruise Industry News Annual Report. While big new ships are driving demand and capacity growth in the Caribbean, the region is also accelerating on a capacity growth basis much faster than all other major cruise markets this year. Capacity will be up just under 5 percent, or around 500,000 passengers for the Caribbean, which follows a strong 2018 when the region posted a near 7 percent uptick in capacity growth. Carnival Cruise Line remains the biggest player in the Caribbean market, with an estimated 34 percent of capacity, followed by Royal Caribbean International, Norwegian Cruise Line, Bahamas Paradise, Disney Cruise Line, MSC Cruises and Celebrity Cruises. Caribbean cruises are generally seven days or less and leave from a number of key Florida and Gulf homeports, led by Miami, Port Canaveral and Port Everglades. On the opposite side of Florida, Tampa plays a role as a key homeport. Moving west, Mobile, Alabama, has a single ship homeporting, while Galveston and New Orleans play major roles as key turnaround ports. On the East Coast, Caribbean capacity can be linked to homeport operations in Norfolk, Charleston, Baltimore, New York, Cape Liberty and Boston. 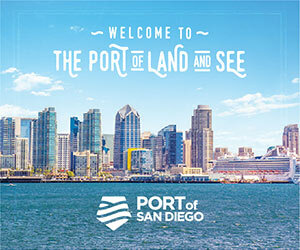 For cruises starting and ending in Caribbean ports, San Juan, Puerto Rico, leads the way, with other key homeports including Martinique and Guadeloupe, as well as Barbados and Havana.